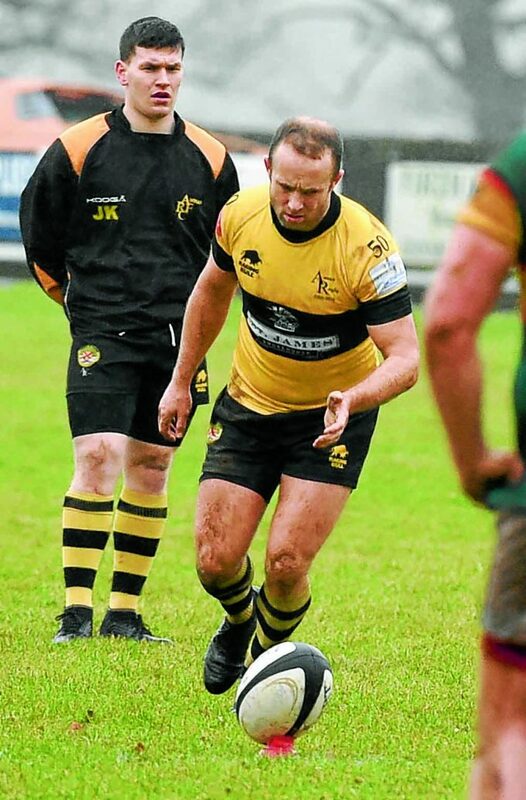 ANNAN Rugby Club captain Craig McCann reached a proud milestone last weekend as he made it 300 appearances for the first team. His time at the club has seen him go from new player, to captaining the first team since 2011. Coming from an active background with playing all kind of sports and with being a P.E teacher as his daily profession, it was those reasons which made Craig take up the sport of rugby. He cites self-motivation to play this amount of games, especially with all the travelling, as one of the main reasons for reaching his achievement, along with his enjoyment of the sport and being surrounded by like minded people. It was double celebration as Annan beat Cambuslang 38 points to 22, with the Annan captain claiming 18 of those points courtesy of the boot by scoring four penalties and three conversion kicks. There have been a number of highs and lows along the way as he has built up the games during his time at the club.